You already know that you can reduce your risk of type 2 diabetes by cutting back on sugar and carbohydrates. But did you know that a tablespoon of vinegar can also make your blood sugar levels go down? This is just one surprising way to slash your risk of type 2 diabetes. Read on for five more things you can do to stave off the blood sugar disease. 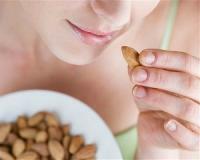 Skipping breakfast can encourage insulin resistance. Eating a morning meal, on the other hand, is healthy for your blood sugar levels depending on what you eat. Choose fresh fruit, yoghurt and whole grain cereal, while avoiding pancakes, muffins and bagels. A body of research suggests an association between coffee consumption and a reduced risk of type 2 diabetes – including one that found people who drank four or more cups of java a day had a 50% reduced risk. Studies have found that reducing blood sugar level spikes is as easy as going for a walk. Get up after your meals and walk for 15 minutes. It doesn’t have to be speed-walking – you can walk at your own pace. A Harvard School of Public Health study found that men who did resistance training for at least one hour a week reduced their risk of developing type 2 diabetes by 12%. The more iron they pumped, the bigger the payoff. There you have it – five drug-free ways to avoid type 2 diabetes.